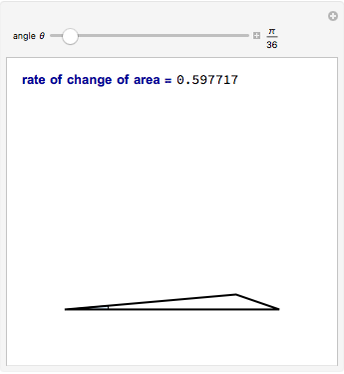 Adjust θ to illustrate the following related rates problem: Two sides of a triangle are 4 m and 5 m in length and the angle between them is increasing at a rate of 0.06 rad/s. 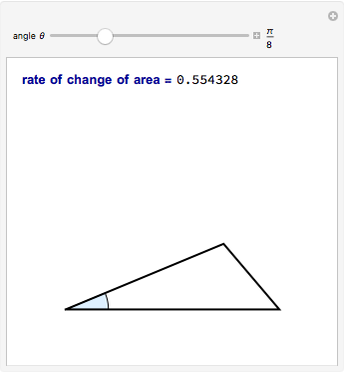 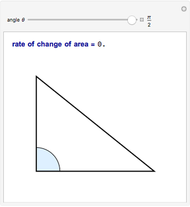 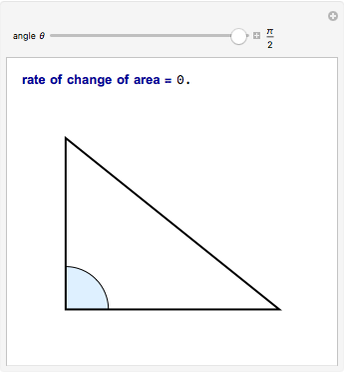 Find the rate at which the area of the triangle is increasing when the angle between the sides of a fixed length is . 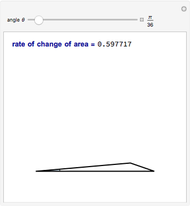 Based on a problem in J. Stewart, Calculus: Early Transcendentals, 4th ed., Pacific Grove: Brooks/Cole, 1999 p. 257, #23. 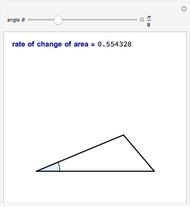 Kevin Balch "Related Rates: Triangle Angle and Area"